The Kauvery hospital has announced that outpatients will not be allowed. The decision was taken due to the security of DMK chief M Karunanidhi, who was admitted to the hospital after a drop in blood pressure. The 94-year-old heavyweight politician's health is stabilised after the treatment. “A few doctors usually give appointments to patients on Sundays. But, as Karunanidhi is in the hospital this weekend, doctors have been asked not to book any outpatient appointments on both Saturday and Sunday. But, we have never received such orders before,” said a hospital source. The 94-year-old heavyweight politician was admitted to the hospital on Friday night after his blood pressure fell down. 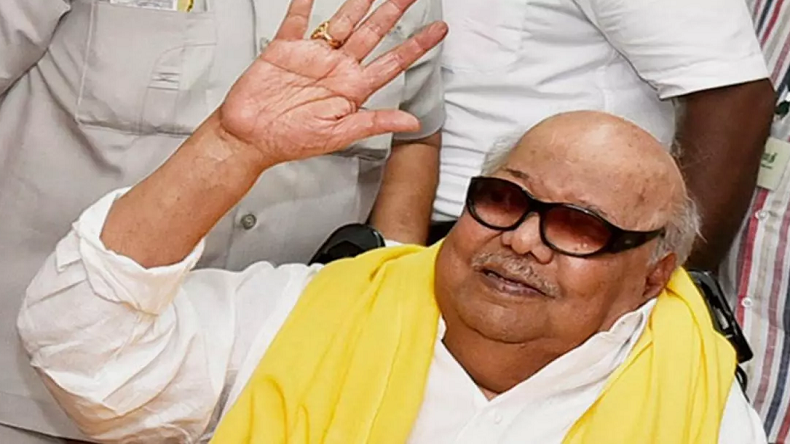 As per the latest reports, Karunanidhi’s health is stable and the treatment is underway. “DMK President Karunanidhi has been admitted to the ICU of the hospital following a drop in blood pressure. His Blood Pressure has been stabilised with medical management. He is being monitored and treated by a panel of expert doctors,” Kauvery hospital said. Earlier, briefing about the M Karunanidhi’s health, DMK leader A Raja had said, that chief’s blood pressure has stabilised. “He was admitted to the hospital due to a sudden drop in blood pressure. He is stable now and doing fine. The medical bulletin will be released shortly. Please don’t believe in rumours,” Raja said.